This book has been generally well compiled, and well written. Be aware, though, that while it is a good introduction for "undergraduate students" it is still intended for college students of linguistics, as you will find much terminology relating to linguistics and little attempt to explain that terminology. 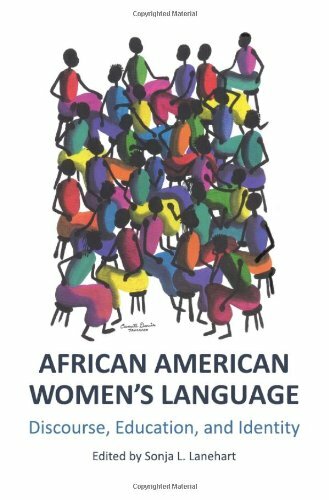 If you are interested in a hair-splitting comparison-based analysis of african languages according to their lexical, syntactical, and morphological features, this book is for you. If you're interested in actually learning one of these african languages, this book isn't for you. The book does claim to have something for everyone (intersted in african languages), such as a section on socio-linguistics. And that may be true. In the end, though, it would probably serve most people as an only-occasionally-consulted reference book for the library, as it does have an extensive index of languages by name, and a subject index, allowing you to locate, for example, the page discussing ergativity. 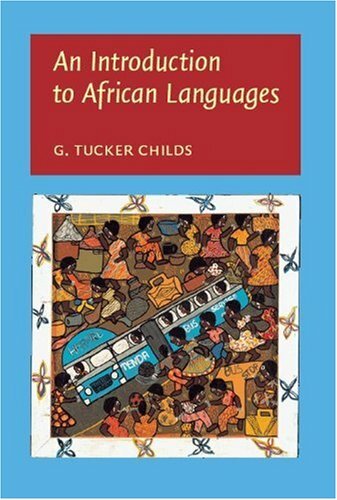 George Tucker Child's AN INTRODUCTION TO AFRICAN LANGUAGES, published by John Benjamins in 2003, presents the unique and peculiar features of this region's languages. 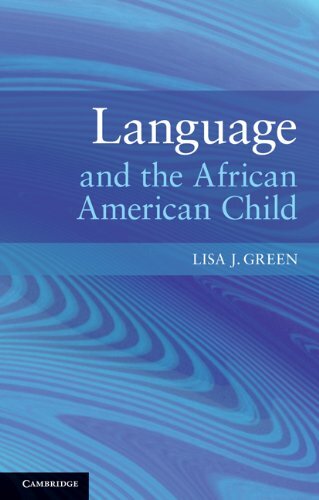 The book is accessible to undergraduates, but it does demand prior courses in phonological and morphological theory and a willingness to follow references (Childs keeps things generally simple, but he'll pique your interest with lots of citations to theories too detailed to go into in this book). The book covers the entire continent, not just Sub-Saharan Africa, but North Africa as well. It falls roughly into five parts. This first discusses the genetic grouping of African languages, with a good overview of the polemics and the major figures. 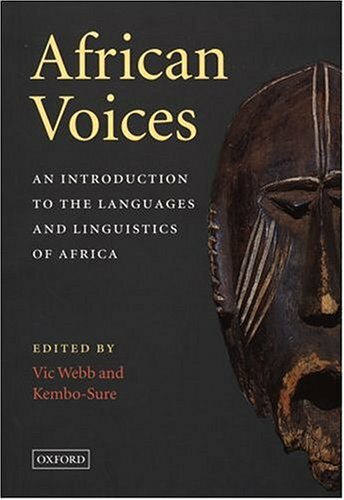 The second portion is a look at the phonological peculiarities of African languages, such as click sounds, vowel harmony and insanely complicated tone systems. The third portion is morphology and syntax, covering e.g. Afro-Asiatic's non-concatenative morphology. The fourth part concerns typology, while the fifth part is the sociolinguistic aspect. The book comes with a CD that is very useful to really understand the phonology. 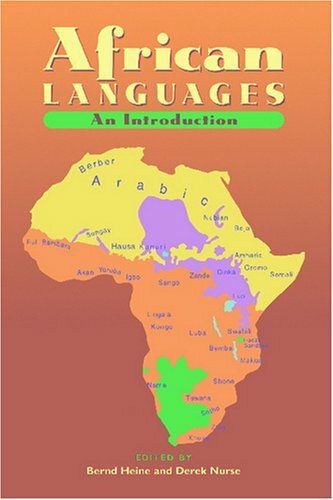 This is an introductory text to African languages and linguistics written by a Kenyan and a South African from their conceptual framework and perspective. 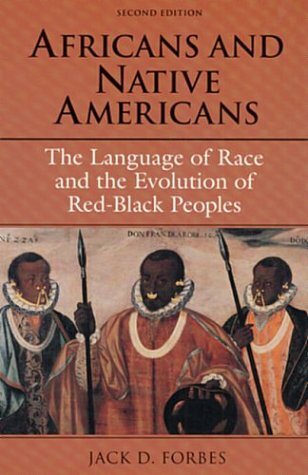 The book gives a fairly decent overview of some of the problems that occur in Africa due to language barriers; that is many of the languages of power are English, French and Portuguese which most African's don't speak and the low esteem of native African languages among their speakers. The book comes at the subject from a general point of view in order to provide a broad framework and as you get into the book the subject becomes more narrowly focused. Some academics think that if they write something simply, readers will not take them seriously. Pity the poor students who must memorize the writings. The book is incomprehensible in countless ways.It mixes up time periods, assumes that everyone knows the location of small towns in east Africa, has no maps and only a few completely inadequate sketches. It offers no explanation for basic concepts like the Sabaki languages, and so on.I ordered one to give one as a present, and I returned it. This slim volume is more than just a survey of the East African coast.It is actually the foremost text on the methods and sources available for understanding the continent's remote past.With the Swahili as a test case, Nurse and Spear discuss the major categories of primary sources, along with sound methods for using them.Their findings support the scholarly consensus about the coast: despite significant external contacts, notably from the Indian Ocean, the Swahili (both language and people) are fundamentally African in origin and character.Linguistic data gets special attention, but those sections are less scary than they first appear, since the authors generally succeed in clarifying this complex material and its role in reconstructing African history.T. Spear,"Kenya's Past" achieves the same goal for a whole country, and with greater time depth.But since that work is OP, "The Swahili" is a good option. 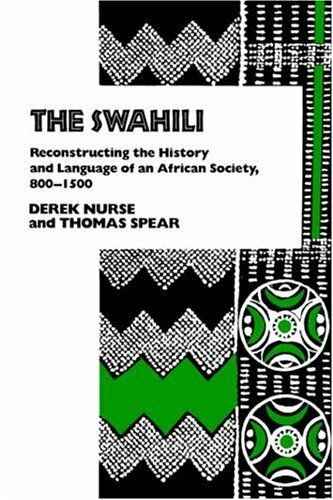 The Swahili is a concise and informative book.It is dry and somewhat boring, but the authors do not drag it on longer than it needs to be.If you are looking for a "quick read" on the Swahili, this is it. Here's an exciting new resource for anyone interested in African music and culture. 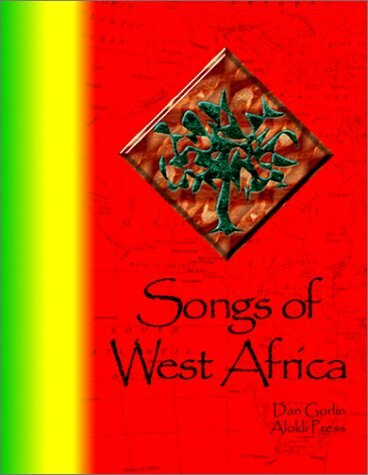 Songs of West Africa by Dan Gorlin contains over 80 traditional African folk songs and chants in 6 languages along with extensive translations, annotations and performance notes. It may be the most complete collection of African songs ever published. The book highlights traditional songs from the Anlo-Ewe, Lobi, Ga-Adangbe, Egu, Foh, and related ethnic groups from Ghana, Togo, Benin, and Nigeria. There are sacred songs from Afa, Agzogbo, Gadzo, and Yewe traditions. Also major secular and historical music including Agbekor, Kinka, Atsia, Gahu, Takada, and more. Many of the songs are simple to learn, and can be easily taught to grade school students or adapted to other styles of music. But the scope of this book goes far beyond children's songs. Each song is explained in terms of cultural context, and translated in a way that helps you form your own interpretation of its meaning. You'll discover that singing the songs of Africa is a superb way to learn about her people, culture, and history -- and it's fun! A really helpful song source to have! I recently purchased this after having it on my list for a while - wish I'd done so earlier.Dan put a lot of time and thought into the collection, with a diverse representation of various traditions in West Africa.Personally, I bought this to learn more Ewe (Ghanaian) songs for some of the music my students are playing - the songs were ones I'd never heard, and the recordings made it easy to loop/learn by listening.A pronunciation guide for the various languages is within every section, along with contextual information about the people and the music the songs accompany. Highly recommended, especially for those like me who have a grasp of the music already and are looking to further their repertoire of songs - nice job Dan! As a student of West African music and dance I highly recommend this book and cd. The book in itself is a valuable resource regarding Ewe music. It goes into depth in its description of the social environment from which this music comes. The recordings are of very good quality and include some of the drum music that accompanies the songs. The fact that C.K. Ladzekpo was consulted in the writing of the book indicates that the information is accurate. If you want to enjoy listening to Ewe songs and especially if you want to learn to sing them yourself please order this book immediately. Songs of West Africa" by Dan Gorlin is perfect for me. I have studied in Ghana and continue to study and teach this music here in Philadelphia, and this book has enough substance to feed a small country of song hungry drummers.Also, it seems the Author also sings and plays the support drums, lead vocal and chorus (overdubbed); which is really incredible because the CD sounds so Ewe~!A must have for anyone who values beauty and hard work! At last - a great way to learn some African music! 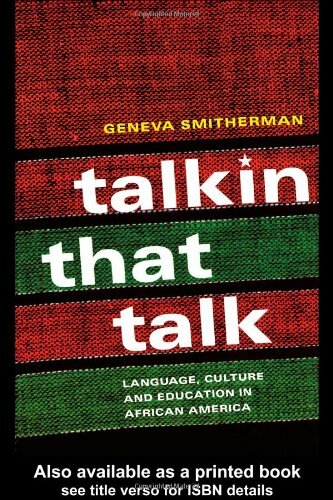 This book focuses on one of the most persistent and controversial questions in modern sociolinguistics: the past and present development of African American Vernacular English (AAVE). Despite intense scrutiny of the historical and current development of AAVE, a number of issues remain unresolved. 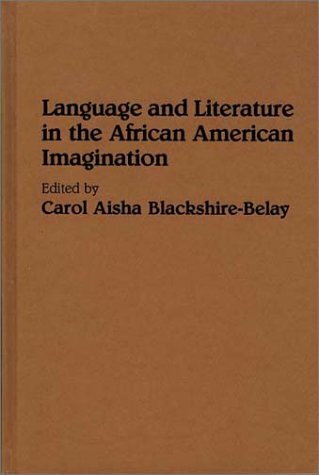 Most prominent among these is the development of African American English during the antebellum period and the trajectory of change in twentieth-century AAVE. 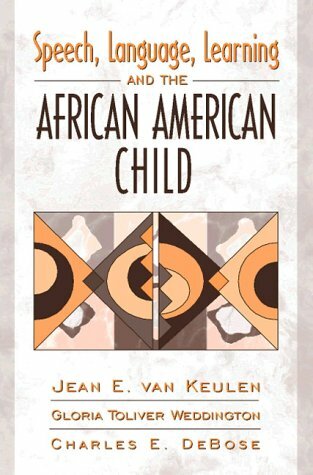 This book addresses both of these issues by examining an unparalleled sociolinguistic situation involving a long-standing, isolated, biracial community situated in a distinctive dialect region of coastal North Carolina. 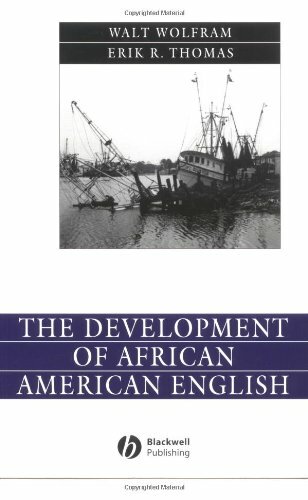 This unique environment provides a venue for dealing with questions of localized dialect accommodation and ethnolinguistic distinctiveness in earlier African American English. 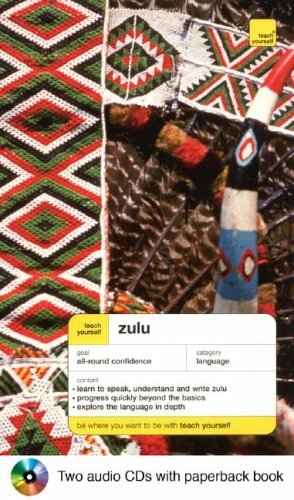 You can use Teach Yourself Zulu Complete Course to learn at your own pace or as a supplement to your classwork. This complete course utilizes the very latest learning methods in an enjoyable and user-friendly format. I have read several books in the Teach Yourself language series, and have found most of them very helpful. I give especially high marks to the ones covering Norwegian, Dutch and Afrikaans. I can now read books reasonably well in all those languages. This one, however, turned out to be almost a total waste of my time. I thought I was following the lessons well enough, but when I was finished I found that I was still almost totally ignorant of the Zulu language. My grasp of the grammatical points and my command of the vocabulary were next to nil. This could be at least partly my fault, of course. Maybe I didn't work hard enough. Or it may be that, for me at least, Zulu is too different. Certainly it is a tough language for an English speaker to learn. When I had finished the book and had seemingly come up empty, I went back over every chapter, and made meticulous notes of the principal grammatical points. I kept my notes handy as I tried to read Zulu material -- including Zulu newspapers available on the Web and a Zulu-language novel. Zilch! I could scarcely get through a single sentence, even with the help of a good Zulu-English dictionary. Despite my gloss of the key grammatical points in the book, there seemed to be many more grammatical devices that hadn't been covered. I found them impenetrable. Maybe Zulu and I were just not cut out for each other. But I feel obligated to say that it's also possible the teacher did an inadequate job. Overall, this is not a bad course but, unfortunately, I do have a couple of niggling peeves I'd like to get off my chest that will hopefully be of some help to others considering purchasing it. Generally the TY series is very good at balancing its presentation of functional language (phrase-book style "chunks") and grammatical explanations.This course however, leans too much in the "phrasebook" direction.It teaches a lot of good and useful language but too much of the structure of the language is explained in too cursory a manner or not at all.I am an experienced learner of languages with some linguistics training so I found myself able to "read between the lines" and deduce some of the rules from context but a beginner learning a foreign language for the first time would surely get lost. The other matter, that I would consider an especially important point for a book teaching a South African language, is the illustrations.The illustrations invariably depict white, European-looking people who for some bizarre reason, chat with each other in Zulu.Is it really that hard to draw black people, or, if you want a more "rainbow nation" feel at least make fewer whites than blacks! Some people may see this last point as "politically correct niggling" but anyone who knows anything about the history of apartheid in South Africa and the struggle of the black majority for basic human rights will surely see my point. Zulu is a native, black language not the everyday idiom of whites who mostly speak English or Afrikaans among themselves, and to depict white people going about their daily lives in Zulu is just plain misleading if not offensive. Decent book, be careful to buy the one with the audio! I've just gotten into the book, and it seems fine to me. Definitely a beginners book, but that's what I wanted. I was under the impression it came with a cassette or CD (the book even refers to listeningexcercises on the cassette), but this one doesn't come with it. There is another item on Amazon (same book or at least the same general title and authors) that says Audiopackage specifically in the title - buy that one. African American Music: An Introduction is a collection of thirty essays by leading scholars whch survey major African American musical genres, both sacred and secular, from slavery to the present. The work brings together, in a single volume, treatments of African American music that have existed largely independent of each other. The research is based in large part on ethnographic fieldwork, which privileges the voices of the music-makers themselves, while interpreting their narratives through a richly textured mosaic of history and culture. The book is replete with references to seminal recordings and recording artists, musical transcriptions, photographs, and illustrations that bring the music to life as expressions of human beings. At the same time, it includes the kind of musical specificity that brings clarity to the structural, melodic, and rhythmic characteristics that both distinguish and unify the music of African-Americans. Co-edited by Mellonee V. Burnim and Portia K. Maultsby for a college-level introduction perfect for classroom text use or library reference, you can't go wrong with African American Music: An Introduction - it gathers thirty essays by leading scholars to survey major Afro-American musical genres both sacred and secular over the extent of American history, uses studies from both ethnographic fieldwork and recordings, and adds biography, photos and illustrations, and references which bring the scholarly focus to life. The blend of scholarly research, field research and cultural observation makes African American Music: An Introduction the perfect text for study. 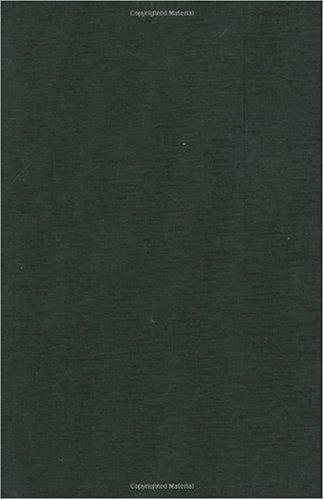 This volume is a selection of significant and previously unpublished essays and short stories by the influential critic of German and American literature and popular culture, James A. Snead. 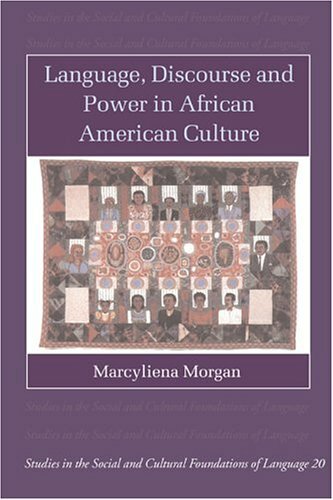 The volume contains innovative essays and notes about African American popular culture, literary criticism and five pieces of short fiction. 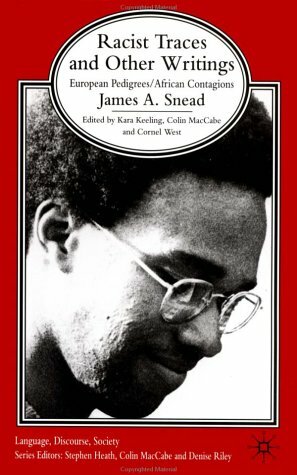 Published posthumously, the volume attests to Snead's unique intellectual commitment to a critical engagement with the interconnections between European and African American cultural formations. Excellent anthology. Do not be fooled. This anthology is perhaps the most incredible anthology of poetry that I have on my shelf. I did expect it to be so fantastic, but it blew me away. It consists of poetry from the modern era (1930s up until the 80s or so, with a couple of newer pieces here and there). The poets represented here are masters of skill and technique. 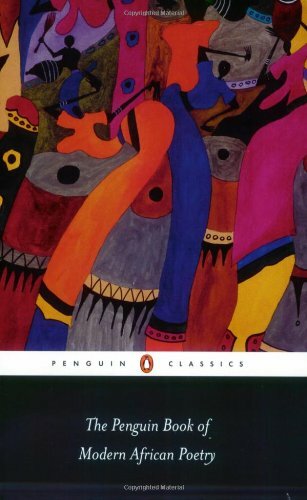 Whoever thinks that Africa cannot produce poetry needs to read a few pages from this volume. There are poets of meter, free verse, and even hints of language poetry here and there. The imagery is sharp, the language is fluid and the messages are clear: in other words, if you love poetry, there's something in here for you. I especially enjoyed the poems of Lenrie Peters and Kofi Anyidoho. This brings me to the flaws of the anthology. First, it is old, and the only anthology of its kind to date. The 4th edition was printed in 1998, and it's time for something new and more updated, perhaps to see where the poets in this anthology have ended up. Second, this book is in dire need of footnotes. Anyone outside of Africa won't get any of the language references or the cultural nuances. That being said, there are only a few instances where I felt completely lost; but footnotes would have been invaluable.